Nancy is the Lead Teacher in the Caterpillar class. She comes to the Caterpillars with over 25 years of experience teaching preschoolers in parent coops. 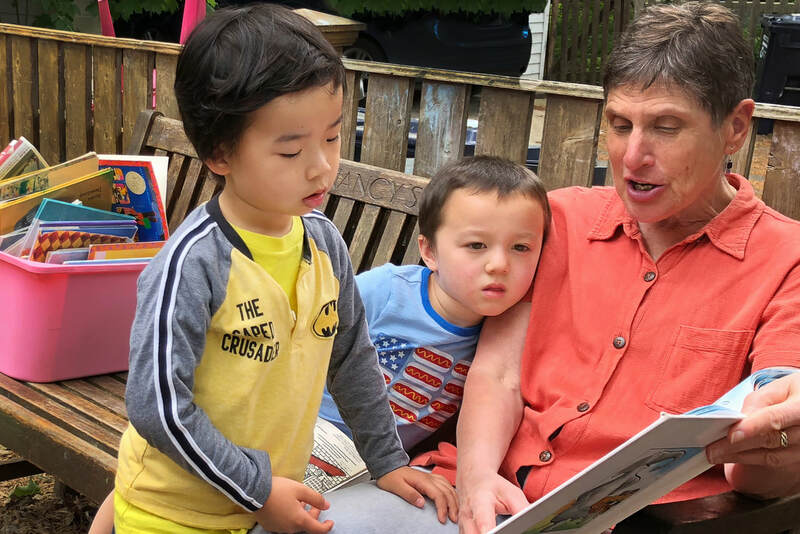 Nancy enjoys the curiosity and quick laughter of preschoolers. During early childhood, she feels it is important for teachers and families to work in concert, because the heart of a young child’s identity is with their family. In the classroom, she shares her love of books, music, and the natural world. Nancy has a BA in Modern Languages from Northeastern. She and her husband Tom live in North Cambridge and enjoy frequent visits from their two grown-up daughters. Candice is a Massachusetts native who has several years of experience working with children in many settings, such as summer camp programs, teaching arts and sports, and professional work as a preschool teacher and nanny. As a professional artist, Candice is inspired by the wonderful imagination, energy and creativity that children emanate. She believes that supporting and nurturing a child’s creativity and imagination is crucial in how they learn and think about their world. 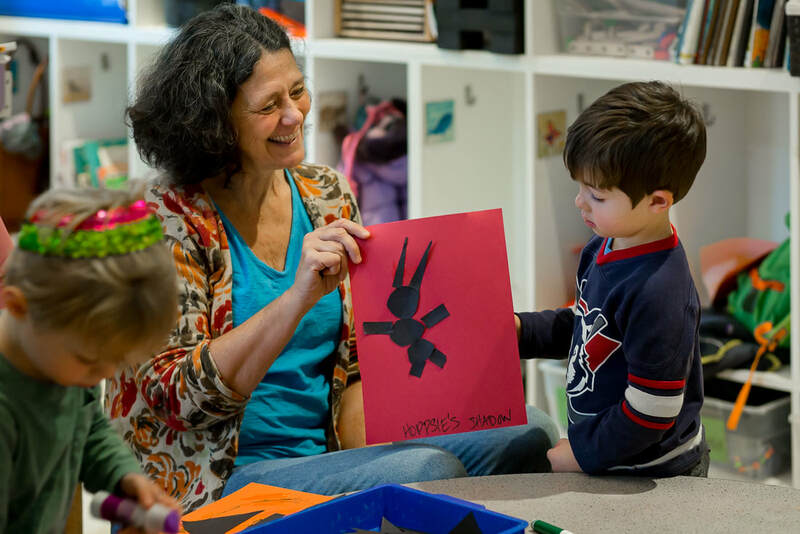 Art exploration can be a way for a child to express their feelings and connect their ideas, which supports curiosity and problem solving skills. Candice enjoys sharing her love of art, projects, singing, dancing, books and nature with the Caterpillar Class and the full CNS community! Kerry, Lead Teacher in the Butterfly classroom, comes to CNS after several years of teaching at the Habitat Education Center and Wildlife Sanctuary (Massachusetts Audubon Society). She believes in a hands-on approach to teaching natural history, using the schoolyard and surrounding natural environment to learn about plants and animals. Kerry has an M.A. in English and American Literature from Washington University in St. Louis, and she has taught English to elementary, high school, and college students. 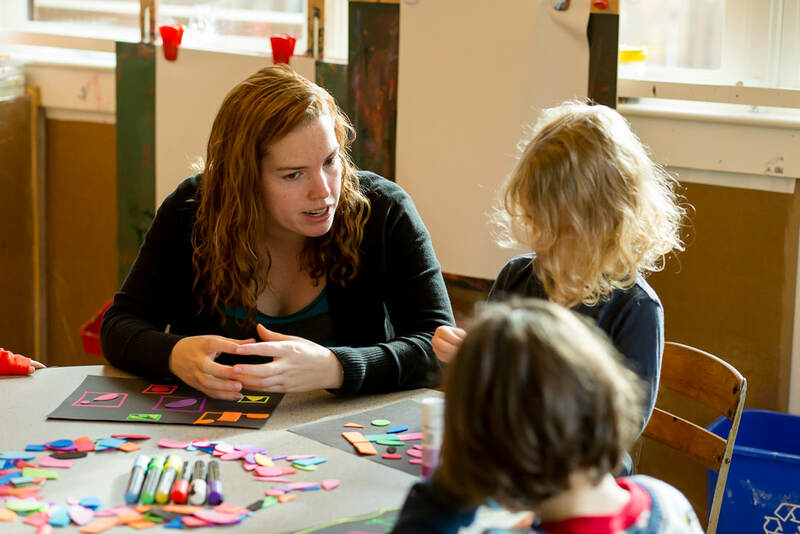 In our classroom, she works with children to create their own stories through drawing, painting, dance, and drama. She is a former CNS board member, and both of her daughters attended our school. Katie comes from a long background of working with children. She received her undergraduate degree from Lesley University and her Master's degree, in Art Therapy and Counseling with a specialization in Children, from The College of New Rochelle. She believes in children learning through their imagination and creativity. Katie enjoys the endless possibilities of a child’s imagination. Her interests lie in art and science and she tries to incorporate both when working with children. She believes in letting children explore their worlds around them. Her favorite thing to do is help children come up with hypotheses about their surroundings and then explore possible answers through hands-on experience. 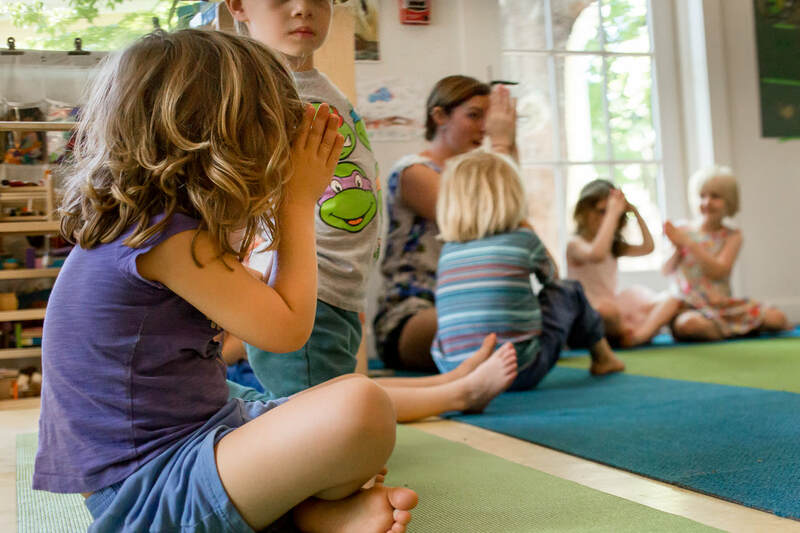 In the classroom, she shares her love and knowledge of theater, dance, art, yoga, and general silliness. 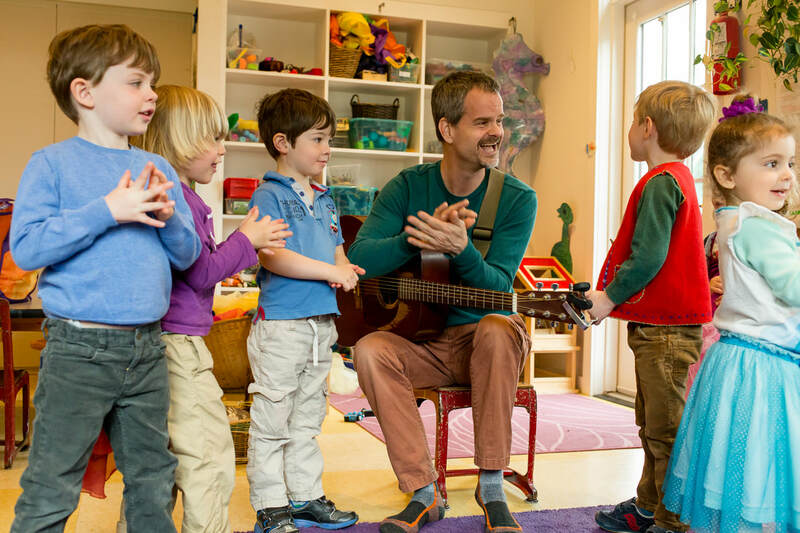 Noted Boston-area music teacher, Jeff Jam brings a mix of traditional children's songs, rhythms, and movement to his weekly classes. Using his acoustic guitar and percussion instruments, Jeff Jam has been educating and entertaining children and families for over ten years. MA Audubon / Habitat naturalists bring their Nature Detectives program to the classes at CNS. Children discover about local nature through exploration, stories, active observation and activities. Bringing nature inside and/or using our outdoor space, Habitat naturalists will help children to see some of the details of nature, note similarities and differences, and seasonal change. 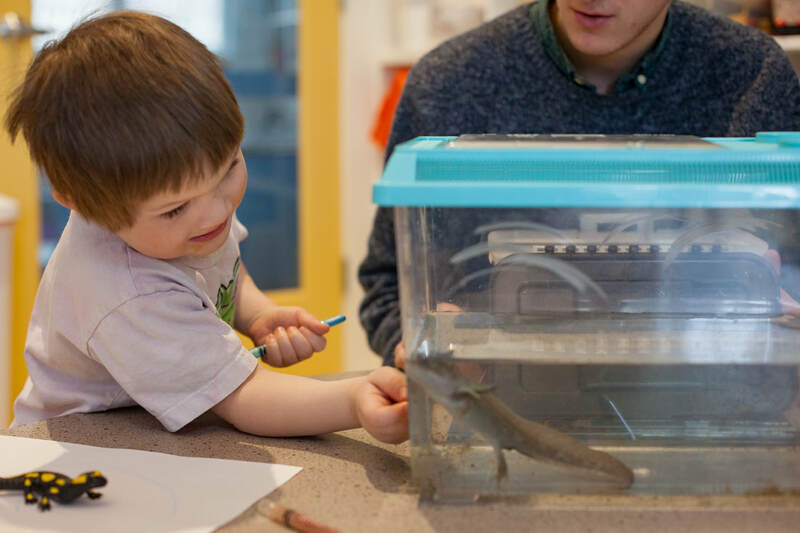 They will bring small animal visitors (slugs, worms, snails, American toad, etc), specimens, and other materials to help guide children in their investigations. Janet Kovner is the Director at CNS. She directed the Palfrey Community Children's School, a small, parent co-operative preschool program in Watertown, from 1986-1997. Prior to coming to CNS, she directed a new backup child care center, affiliated with Brigham and Women's Hospital and managed by Partners Child Care Services. She has an M.Ed. in Early Childhood Special Education from Lesley University, and an M.S. in Environmental Studies from Antioch University New England. She enjoys observing birds, mammals, wildflowers and trees, and most other flora and fauna. On occasion, she leads natural history walks, and brings these passions to her work at CNS.